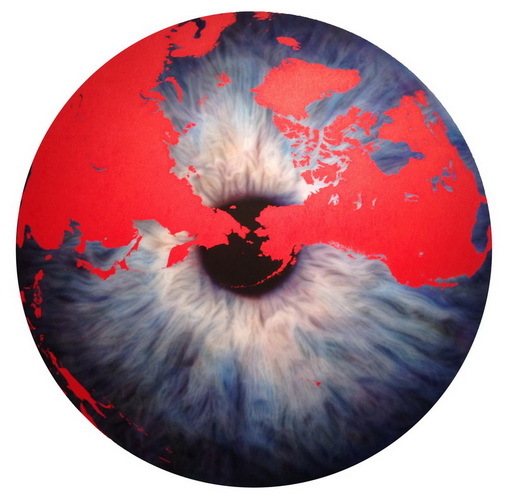 The Sava's Eye was commissioned to Marc Quinn in December 2012. The artist made a photo of the eye of my then 4 months son Sava and reproduced it in oil on canvas. The blue baby's eye looks at the dramatic red Russia-America closest separation line - the Bering strait, a 85 km channel between Chuckhi Peninsula (Russia) and Alaska (the US).